VERY MOTIVATED SELLER - ALL OFFERS CONSIDERED! This 2008 model Bavaria 39 Cruiser was on display at the 2007 Annapolis Boat Show. She wowed visitors with her spacious and comfortable interior, three cabins and two heads and her fantastic sailing layout and configuration. A fast, safe and comfortable boat, she has a wealth of extras including dodger, bimini, stack-pack, upgraded 40hp Volvo diesel engine, deep lead keel, full-batten mainsail, electronics and autopilot, full inventory and safety gear, dinghy and outboard to name a few. Sleek and stylish, the Bavaria 39 combines the performance sailing you've come to expect from this prestigious yacht manufacturer with a light, roomy and comfortable interior. The master suite is located forward with its own head and shower and the two double cabins, served with a separate head and shower, are aft of the saloon. The saloon area incorporates an exceptional 6' 7" headroom, a large seating arrangement and a spacious galley with a two burner stove, twelve volt fridge and plenty of storage. Large saloon seating area with centre console seteed and u-shaped settee around the saloon table. Huge charter table designed with going to sea in mind. The main head and shower is accessed from the saloon and features a separate shower stall. The forward cabin has a large queen berth, lots of storage and private ensuite shower and head. The aft cabins have large berths, hanging lockers and storage shelves. The cockpit of the bavaria 39 is large and sheltered. With a central steering pedestal and large wheel, the helmsman can steer from high or low side equally. Teak floors and seating are also complemented with a teak table with fold-out leaves. All sailing controls are led aft to the cockpit with two large 2-speed Lewmar Genoa winches and two halyard and sheet winches on the coah-roof. All Bavaria's have Selden rigging as standard and are made even safer with single-line reefing so you never have to leave the cockpit to put a reef in. 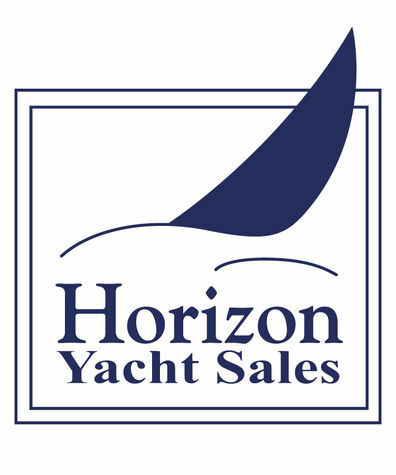 This yacht features a fully-battened mainsail along with roller-furling Genoa on a Furlex system. The mainsail is protected by a Quantum stack-pack and the Genoa has UV strip protection. A dodger has also been fitted to this boat. This yacht has a very comprehensive specification and also comes with a dinghy and outboard.